Blowout Sale! Save 74% on the The Language of War Monuments (Bloomsbury Advances in Semiotics) by Bloomsbury Academic at Translate This Website. Hurry! Limited time offer. Offer valid only while supplies last. This book analyses war monuments by developing a multimodal social-semiotic approach to understand how they communicate as three-dimensional objects. 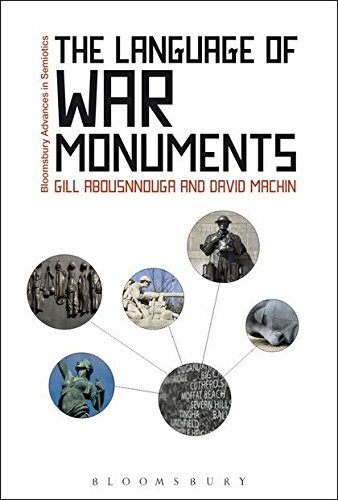 This book analyses war monuments by developing a multimodal social-semiotic approach to understand how they communicate as three-dimensional objects. The book provides a practical tool-kit approach to how critical multimodal social semiotics should be done through visual, textual and material analysis. It ties this material analysis into the social and political contexts of production. Using examples across the 20th and 21st century the book's chapters offer a way of analysing the way that monument designers have used specific semiotic choices in terms of things like iconography, objects, shape, form, angularity, height, materials and surface realisation to place representations of war in public places across Britain. This social-semiotic approach to the study of war monuments serves three innovative purposes. First, it provides a contribution to the work on the ideological representations of war in Media and Cultural Studies and in Critical Discourse Analysis applied specifically to more banal realisations of discourse. Second, it responds to calls by historians for innovative ways to study war commemoration by providing an approach that offers both specific analysis of the objects and attends to matters of design. Thirdly, following in the relatively recent tradition of multimodal analysis, the arguments draw on the ideas of Kress and van Leeuwen (1996, 2001), adapting and extending their theories and models to the analysis of British commemorative war monuments, in order to develop a multimodal framework for the analysis of three dimensional objects.